Golden Beach is a private community located between the Intracoastal Waterway and the Ocean, the entire town is about 1 mile long from north to south and 4 blocks wide from east on the ocean to west on the Waterway, it has a total of 1.8 sq. miles. Golden Beach is near the city of Aventura, North of Sunny Isles, it is the last town between Dade County and Broward County, directly north of Golden Beach is the City of Hallandale Beach. 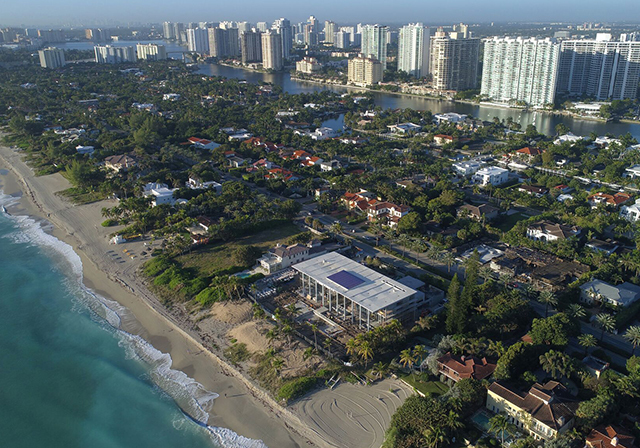 IT consists of only single family residences the most expensive of which are the oceanfront homes, there are also bay front homes and non-waterfront homes in this neighborhood. The city was incorporated in 1929 and it is one of the most desirable and oldest municipalities in Dade county. The main access Road to Golden Beach is Collins Avenue (A1A). The town has extremely good security with a large police force for the size of this small town which has appx 364 homes (please check this). The Beaches on Golden Beach are private, there is a historic Beach Pavilion for all the town’s residence use, it also has 9 Parks. IT is located 18 miles from Miami International Airport, 15 miles from Ft. Lauderdale International airport, a short ride away from Aventura. The town has a town manager, it’s own police department, as well as Building and zoning department, Public works, sanitation, Parks and Rec. Code Enforcement, life guards etc. If you are interested in buying, selling or renting in Golden Beach, contact me at 305-674-4022 or Esther@EstherPercal.com.